The CHAPEL of NOVILIS: their first high-end white wine! This wine was expected as a mother expects her first child. 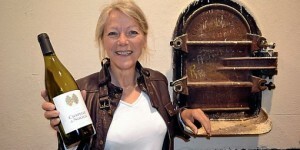 Néu, white nectar of the winemakers Nathalie Jeannot and Laurent Pegolotti, has just been launched. A small production of 772 bottles of a blend of vermentino grapes (80%) and the marsanne that should delight the palates of lovers of high-end wines. “When we decided to give a new lease of life to the area of Marseilles that everyone knew as Villenouvette, by making our own wine in our own cellar that had to be created, the choice was made quality production “, recalls Nathalie Jeannot. She was responsible for the Europe service of a large laboratory; and dropped everything in his fifties to reconvert himself to the work of the vineyard with his brother-in-law.